My recent visit to Vancouver Island’s Kingfisher Oceanside Resort & Spa surprised me. 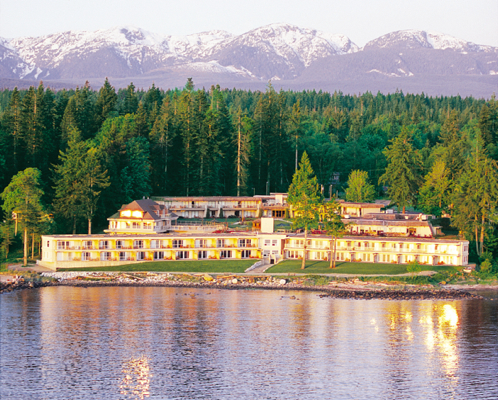 I knew this resort has a solid reputation and a loyal following from customers across Canada and the Pacific Northwest, but sometimes going in with high expectations can leave you disappointed. I wasn’t. After a one-hour scenic drive north from Nanaimo, I arrived at the resort, which was nestled like a seagull, overlooking the ocean, fenced to the north and south by towering Douglas Fir trees. My first impression was that it looked modest and unpretentious. Driving in, I was reminded of a private club. At check-in I was met with warm smiles and the friendly faces of the Kingfisher’s staff. Opening the door to my room, the Orca Suite, I was immediately greeted by the ocean in front of me. True to its name, the Orca Suite was spacious, with a separate bedroom, en suite bathroom, fully stocked kitchen, and living and dining area with a natural gas fireplace. With all this space, in such a beautiful setting, one wishes they weren’t alone. But the sounds of the waves hitting the beach in front of me reminded me I wasn’t. Hydrotherapy. Dressed in my swimsuit, robe and sandals, I was greeted by Danielle, who would be my guide for the next hour. I followed her downstairs, where the Pacific Mist Hydrotherapy occupied the entire lower floor in soft lighting, gentle music and the rush of water. Danielle explained how this wellness journey offers the benefits of hydrotherapy, including remineralization, detoxification and relaxation, in a setting evoking Vancouver Island’s natural seaside elements. 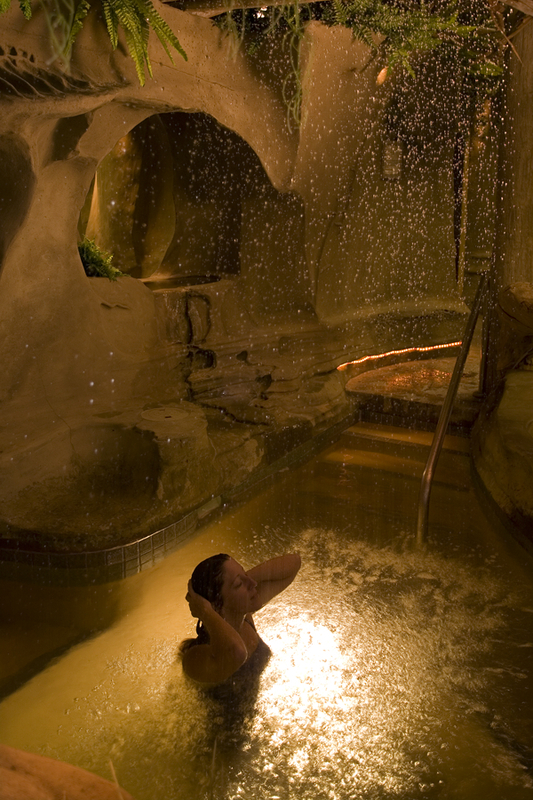 The treatment follows eight unique elements: Swiss Shower, Mineral Massage Pool, Waterfall Massage, Steam Cave, Glacial Waterfall, River Walk, Sea Mineral Soak, Tidal Baths ... and finally the relaxation lounge. Here you’re encouraged to cool down, catch your breath and rehydrate while taking in gorgeous views of the ocean, mountains and nearby islands. Pacific Mist Hydrotherapy is one of the most unique spa experiences I’ve had - a true “taking of the waters.” I enjoyed it because it was so different from drifting away on a massage table. I felt present and relaxed - away from all the interruptions of life. Danielle was nothing short of wonderful - answering all of my questions, checking in on me, and topping up my ever-dwindling glass of water (I must have consumed about a dozen). Feeling energized and relaxed (and a little hungry) after my treatment, I made my way to the Kingfisher’s signature restaurant, The Breakwater. Staying true to my British Columbia spa experience, I enjoyed a delicious plate of Saltspring Island Mussels in red curry, coconut milk, lemongrass and cilantro, complemented by a glass of BC’s Wild Goose Riesling. I highly recommend visiting the Kingfisher and its signature Pacific Mist Hydrotherapy - either on your own or with friends, family or a romantic partner. But given a choice, I'd suggest taking someone with you. Life is better shared.